It can be rightly said that Big Data has become the mainstream technology across all high-performing industries. Prominent enterprises now base their decision-making skills on insights derived from the analysis of big data. The fact that Big Data gives you an edge over competitors is as much true for enterprises as it is for professionals working in the analytics domain. Big data brings forth an ocean of opportunities for those who like to work with numbers and are passionate about unearthing patterns in rows of raw, unstructured data. To understand the role of Big Data Engineer, Analytics India Magazine caught up with Sumit Shukla, Level 1 Data Scientist at upGrad who gave an insightful low-down on the role and the kind of skill-set required for becoming a Big Data Engineer. Shukla reveals there’s more to the field of Big Data than just popular job roles such as Data Scientists, Machine Learning engineers, and Data Architects. Big Data Engineers are responsible for designing big data solutions and have experience with Hadoop-based technologies such as MapReduce, Hive, MongoDB or Cassandra. 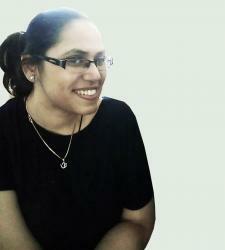 Big Data Engineers also have a thorough background in data warehousing and NoSQL technologies. Big Data Engineers also have considerable knowledge of Java and have extensive coding experience in general purpose and high-level programming languages such as Python, R, SQL and Scala. What is Big Data Engineering? Before we delve into what big data engineering is, it is important to understand what constitutes big data. Big Data is a collection of complex data sets, particularly from new sources. These data sets are so intense in their volumes that traditional data processing software find it difficult to manage them. Big data is defined by the three Vs of big data, i.e., variety, volume, and velocity. Volume: Big data processes high volumes of unstructured, low-density data. The data can be of unknown value and can come from a variety of sources such as social media, business sanctions, and information from sensors and machines. Some organisations may have terabytes of data, for others, it could be several petabytes. Velocity: Velocity defines the rate at which the data is received from the sources. Usually, the highest velocity of data gets streamed directly into the machine’s memory as opposed to being written onto the disk. However, some internet-based smart solutions can operate in real time and perform quick evaluation and action. Variety: Variety is concerned with the different available data types. While traditional forms of data are well structured and could be constituted into a relational database, big data usually comes in new unstructured forms. Let’s have a look at the baseline skills for a data engineer. Of late, data engineer roles have gained more importance in organisations that are facing a data deluge, with data lying around in multiple formats in organisations. The role of data engineer needs strong data warehouse skills with a thorough knowledge of data extraction, transformation, loading (ETL) processes and Data Pipeline construction. Big Data engineering is a specialisation wherein professionals work with Big Data and it requires developing, maintaining, testing, and evaluating big data solutions. Big Data engineers are trained to understand real-time data processing, offline data processing methods, and implementation of large-scale machine learning. Since Big Data engineering is a demanding specialisation, having sufficient experience with software engineering is a prerequisite to enter the field. In addition to this, a familiarity with coding and testing patterns, object-oriented designs, as well as experience working on open source software platforms would give students an additional benefit. It would be even better for them to have expertise in NoSQL and data warehousing as well. Big Data engineers are tasked with building massive big data reservoirs and highly scalable and fault-tolerant distributed systems, that can inherently store and process massive volumes or rapidly changing data streams. They are also responsible for developing, constructing, testing, and maintaining frameworks like large-scale data processing systems and databases. Once data flow is achieved from these pools of filtered information, data engineers can then incorporate the required data from their analysis. 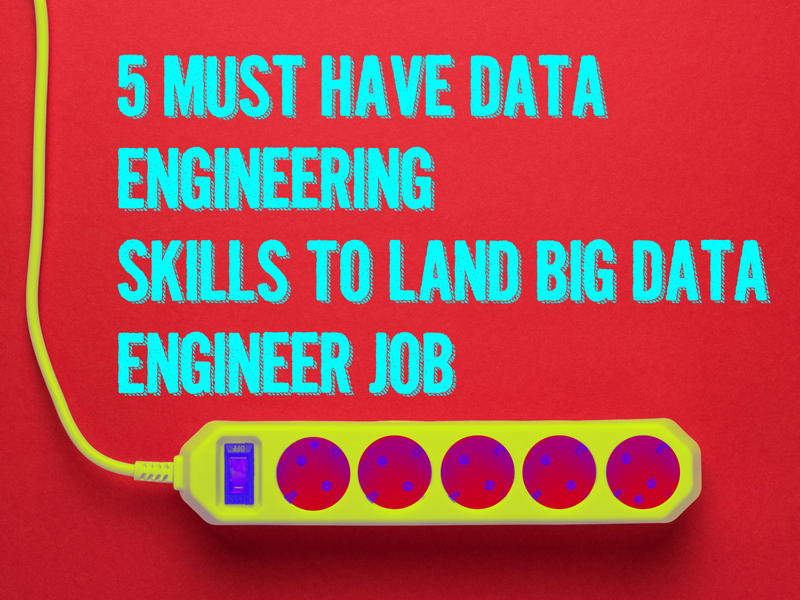 To get the most out of your big data engineering course, investing in these five skills will give the fastest way to kickstart the career in this space. Apache Hadoop: Apache Hadoop has seen tremendous development over the past few years. Its components like HDFS, Pig, MapReduce, HBase and Hive are currently in high demand by recruiters. Although Hadoop is now almost a decade old, many software companies are still heavily relying on its clusters due to its ability to deliver perfectly mapped results. NoSQL: NoSQL databases like MongoDB and Couchbase are now rapidly replacing traditional SQL databases like Oracle, DB2 etc. This is because NoSQL databases are better equipped with meeting big data access and storage needs. In addition to this, their data crunching ability also complements Hadoop’s expertise. So much so, that big data engineers with expertise in NoSQL are in immediate demand in most places. Setting Up Cloud Clusters: Given the acute reliability that big data places on networks, a lot of work is outsourced to the cloud to avoid the hassle. To accommodate the wide volume of big data, several cloud clusters are set up depending on the organisation’s requirements. Not only does the elasticity offered by cloud makes it ideal for big data engineering, but cloud clusters also make it easier for engineers to crunch large volumes of data to discern patterns. Being well-versed with setting up cloud clusters can give tremendous growth opportunities in prominent multinational companies. Machine Learning: Even though big data engineering has a lot of scope, machine learning and data mining make an important contribution to the field and are some of its most prominent components. There is still a scarcity of professionals that can effectively use machine learning for carrying out the prescriptive and predictive analysis. Developing expertise in these fields can help big data engineers in developing classification, recommendation, and personalisation systems. These engineers are in high demand in service-based companies like Netflix, Amazon, Spotify, etc. Apache Spark: In addition to the Hadoop framework, Apache Spark is also extremely popular in roles involving big data analytics. A quicker and more straightforward alternative for complex frameworks like MapReduce, many organisations are now expanding their operations and looking for professionals with experience in Spark. Moreover, the increase of Spark’s in-memory stack has also made this skill extremely sought after by headhunters of prominent consulting firms. Growth prospects: Even though organisations generate multitudes of raw data, it would hardly be of any use to them without the skills to analyse it. This is where big data engineers come in the picture. From a career perspective, there is little doubt that big data engineers will have a positive growth curve. As far as the market is concerned, the global big data market would achieve a net worth of $31 billion by the end of this year, thus documenting a growth of 14% from the previous year. 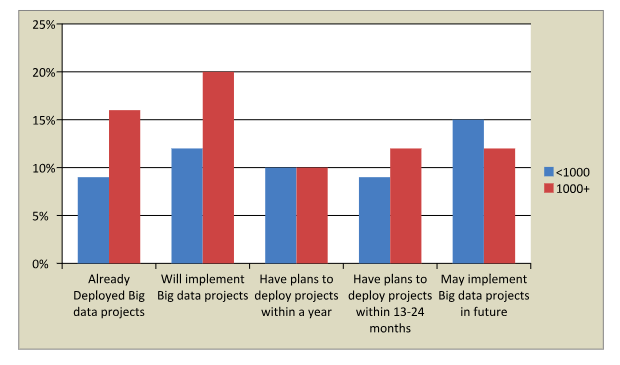 There is an escalating demand for big data engineers. Glassdoor itself has listed about 107,730 big data engineering jobs in the US alone. The sports industry, for instance, has an increased demand for big data engineers to track metrics of consumers like social media behaviour, ticket-purchasing habits, demographics, brand interests, and psychographic profiles. As organisations get particular about the data they infer and collect, big data engineers are increasingly being demanded by recruiters. The best way to transition to this field is by enrolling in a rigorous program on Big Data. To help you with that, BITS Pilani has now launched a one-of-its-kind PG Program in Big Data Engineering in association with upGrad. The eleven-month course would first introduce students to the foundations of big data, and will then progress towards teaching them more advanced topics like ETL and batch processing, real-time data processing, and finally culminating into big data analytics and a hands-on capstone project. The program ensures hands-on training in industry-relevant tools such as Hadoop, Sqoop, Flume, Oozie, Kafka, Storm, Spark and others. The entire course lectures will be delivered by industry experts and the incredibly talented faculty members of the BITS family. Big Data is an upcoming field that is expanding its application into virtually every industry. For this reason, there is an increased demand for engineers who can work with Big Data in almost every big company. Companies like Cognizant, Deloitte, Accenture, Snapdeal, Flipkart, Amdocs, MuSigma hire big data professionals at attractive salary packages. Do you see yourself working as a big data engineer in the future? If yes, then what are you waiting for?